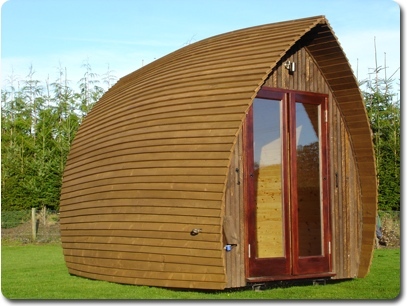 Well, Monday 27th February, and I am in my new Armadilla Garden office. Unfortunately, still no electricity, and the guys couldn't make it for the final work & snagging, but I decided with the battery life of my Mac Book Pro, and a wifi connection that was working from the office, I could work down here. The wood burning stove fired up nicely. Only a 4Kw Windy Smithy LOUIS Clarke Thames 4KW unit, but plenty for this small office. Just a small fire today to check it draws ok, and to take the chill away to work. 1 hour after lighting and the office is fine already. The Armadilla still needs a bit of leveling. It is down about 5cms front to back and 4cms left to right. That is easy to do with a jack and bits of wood. For now, best work to one side of the office so as to avoid rolling sidewise while working! The weather again returned to wet and miserable, making moving around on the grass difficult. Safely reached destination. Just use of the farm jack to lower it the rest of the way onto the gravel. 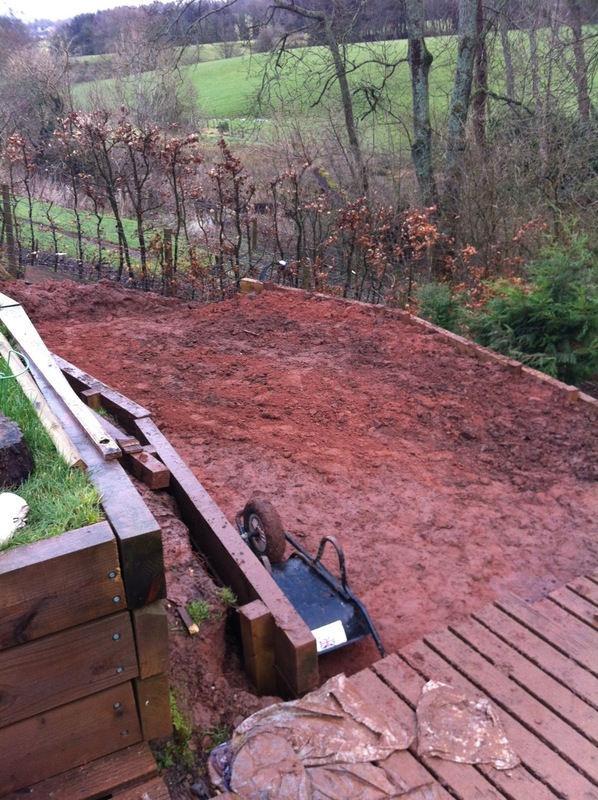 Level on gravel with wood burner and flu installed. Some snagging and tidying up to be done. 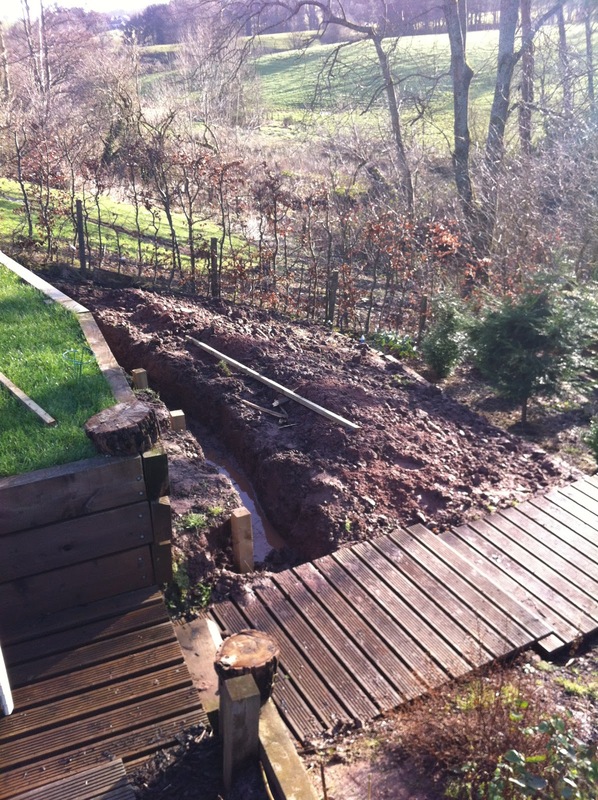 The electricity supply has to be connected, and a deck extension prepared. The bulk of the work is now done. The Armadilla is looking stunning. Looking forward to setting up the office contents and getting settled in! Many thanks to Archie, Ross and the staff at Armadilla. An excellent job, and a perfect result. Busy day preparing the base again. Weather was good. Dry all day. The base is now installed with 2 tonnes of gravel shifted from the front of our house down to our platform. Another 35 or so coach screws installed to secure the sleepers. I will be adding a few more as soon as we find a supplier in Stirling! 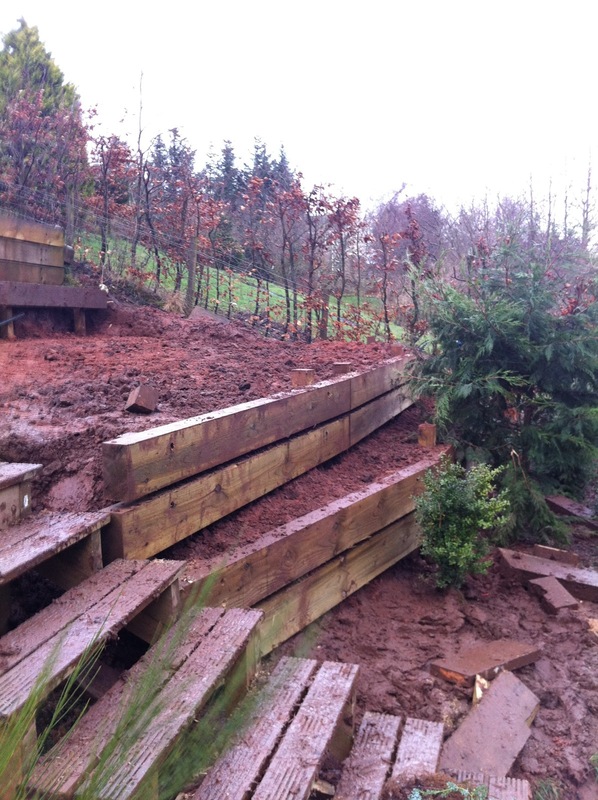 Going from the grass on the left looks ok. A bit of work to lift the office onto the ramps... and then a lower job to get it above the pallets... Then.. the tricky part... The slope doesn't look to steep from this picture... Lots of help hopefully ensuring it doesn't slide too far down the garden. Looking forward to the big lift with the crane tomorrow morning! I have been a fan of Peter Green for many years. In my mind, for a short period of time during the last 60's he was the best rock blues guitarist ever. Back then, he played for the pre-Rumours Fleetwood Mac. The guitar he is playing here is the famous gold Les Paul that he later gave to Gary Moore. The guitar was famous partly due to a manufacturing fault that gave it a unique sound. One of the pickups was wound in reverse giving it a particular sound when played with across 2 pickups. Having said that, the real reason for the unique sounds was Peter Green himself. He had a unique ability to adjust the volume of his playing - a sort of less is more thing. Notice that during this video, Danny breaks a string mid way through. You would hardly know. He manages to work his way around the string. Peter Green mentions this as his reason for playing solo later. This last video is a more solid blues number that shows off Peter's pure blues guitar. Enjoy. As the song goes, 'what a difference a day makes'. 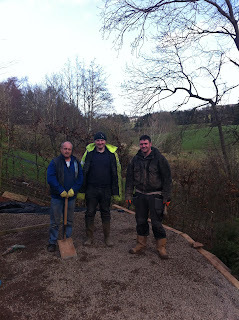 Today, Archie and his son Ross were up with 5 men to help complete the leveling work. Once again, the weather was pretty awful, but at least it was warm - 14'c and the heavy rain stayed off. We were short of coach screws - those muckle great M10 x 15cm things. 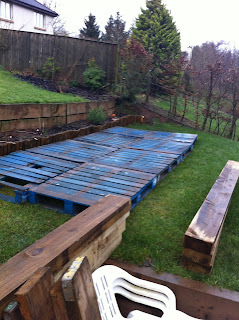 Unfortunately, Stirling as a whole was only able to supply 20 (screwfix). More arriving tomorrow morning. As before here are a few pics of the progress made today. A base prepared to take the office on its way to is actual destination. 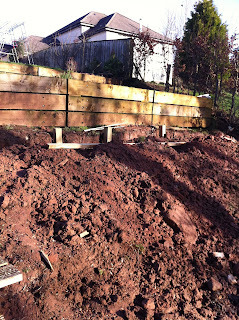 Looking up at the top side of the new tier showing the existing sleepers, and the new arrivals. More coach screws to be added to finish. 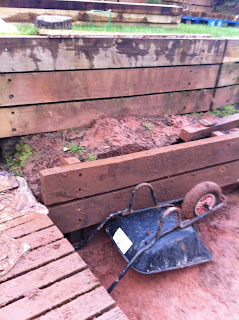 The soil was level with the top of the lower sleeper this morning. 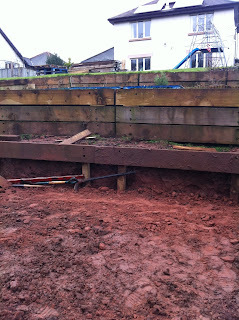 Before the digging today, the decking step on the left was slightly below the earth level here.. now it is clear by over a foot. I will be putting in something to support the earth below the decking once the office is in place. Soil moved from left to right. 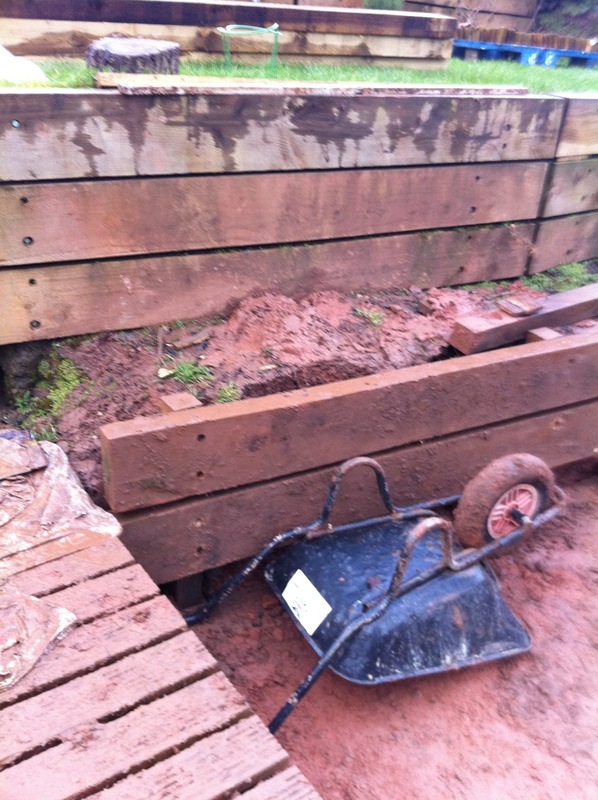 It was previously up the level of the top of the sleepers next to the barrow. Lots of digging. 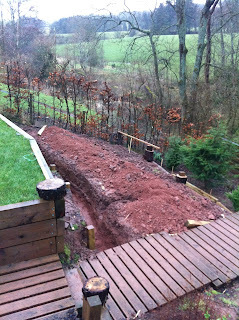 As you can see the whole tier is now quite a bit wider due to the pushing back on the right side. Look across from the other side of the garden. Both rows of sleepers are effectively new. The previous set were to the left and not high enough. Materials were re-used. You can see the scale of the work above and below. 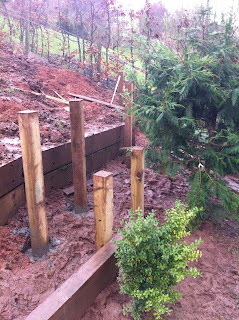 By putting the shoring up across 2 levels, it provided a means to spread the load, and the single drop. 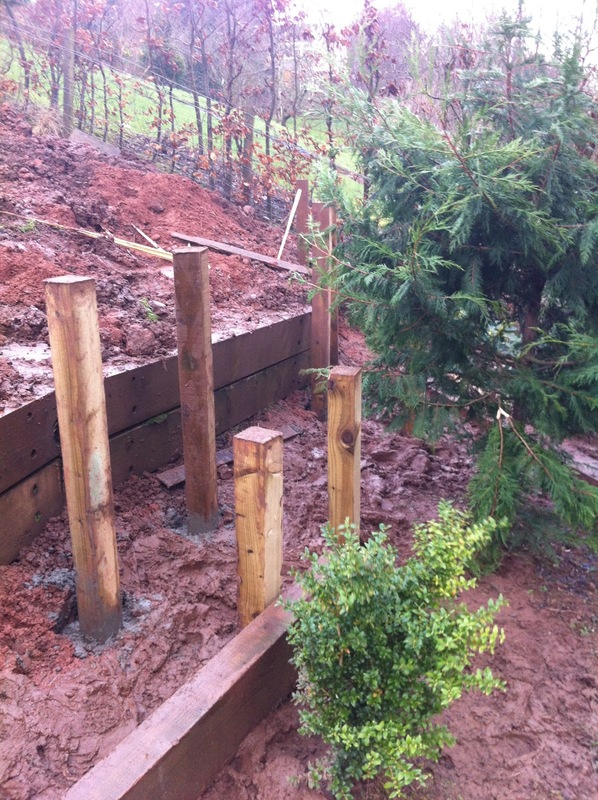 6 sleepers on top of each other would have had required very very deep posts! The lads did a great job today. Tomorrow, just a case of further leveling - possibly adding some more soil, and then putting the gravel down to create the actual office base. Saturday morning is the lift. All going well - I should be sitting in the office Saturday late afternoon! 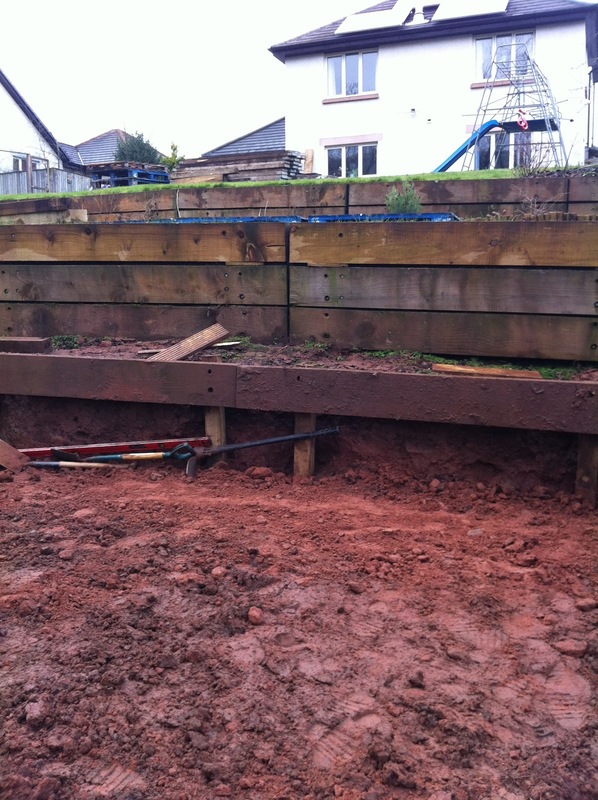 2 rows of posts in to make 2 levels of retaining sleepers. 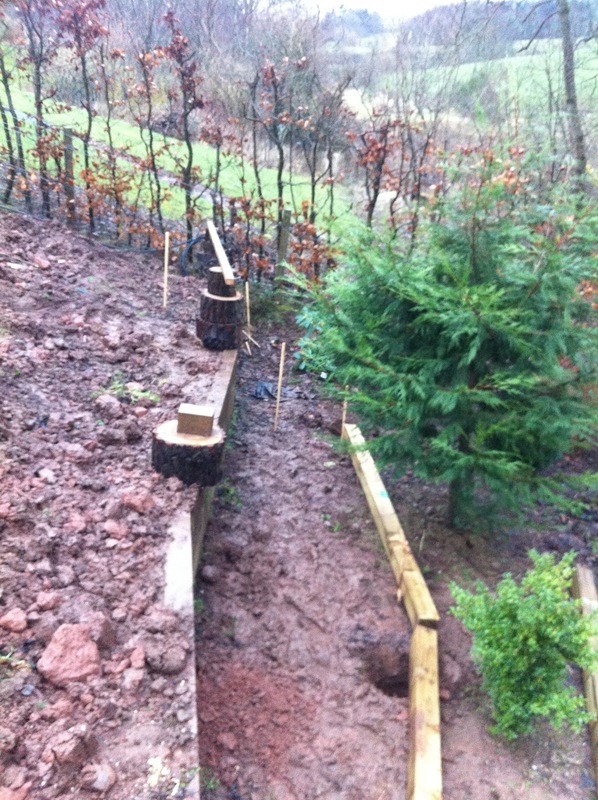 The sleepers will be coach screwed onto the posts tomorrow - Thursday, and then on Friday, the big job of leveling the ground with 2 tonnes of gravel will start (and finish). 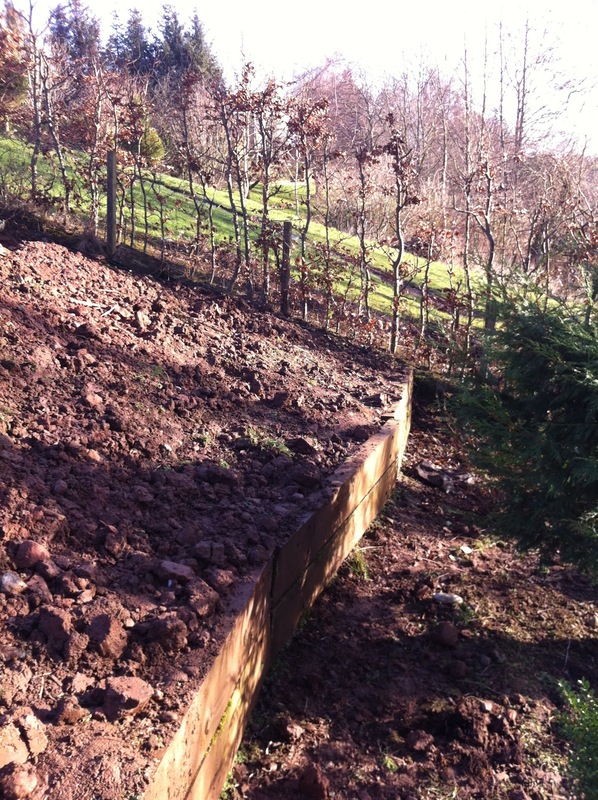 Ideally the sleepers would go on the inside... but, as all of the other retaining walls are the other way round, it would look odd. At least the weather for Friday is looking better, and for the lift on Saturday morning. Weather not so good today, but Archie's men were out none the less. 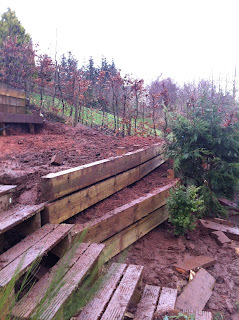 After some discussions it was agreed on the best approach to tackle the nasty slope - go deeper! 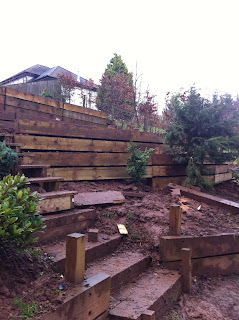 and spread the drop in height across 2 retaining walls at the top and bottom. Lower end... notice the position of the posts - this is where the lower level retainer is going in. Rather than having a single high retaining wall of sleepers, the plan is to have 2 separate levels - both at the bottom and at the top. It will be 3 + 3 tall at the top, and 2 + 2 t the bottom. We are using cheaper Jewson sleepers, so the new ones will be 200mm as opposed to the 225 or 250mm used previously. Lets hope the weather improves for tomorrow. The forecast doesn't look great until Friday when the office is due to be craned over the house. Ok - here is the first of my 'progress' postings on the installation of my Armadilla Garden Office. As mentioned in my earlier post I have decided to invest in a Garden office. This is/was scheduled to be delivered this week (w/b 19th Feb 2012). 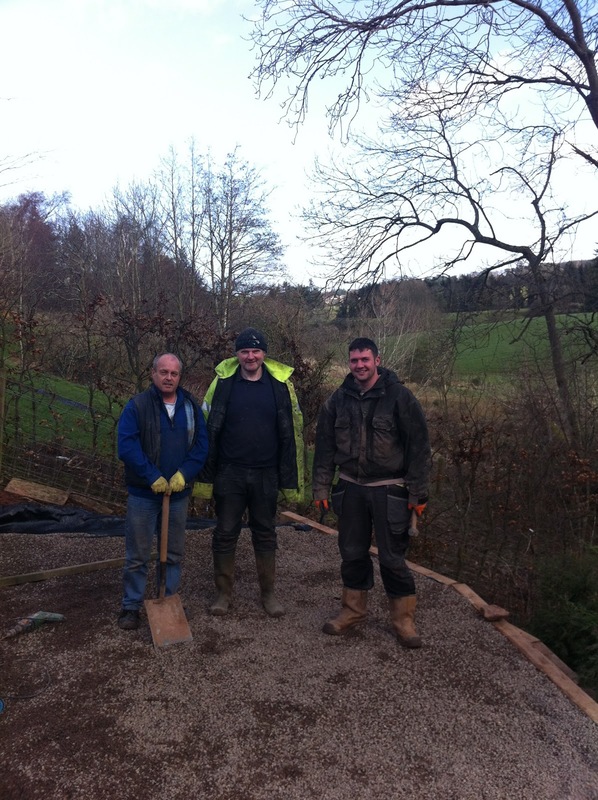 In preparation for this, Archie Hunter sent out a couple of chaps to help prepare a base for the office, on our tiered garden slope. This is looking down on the target level of the office. 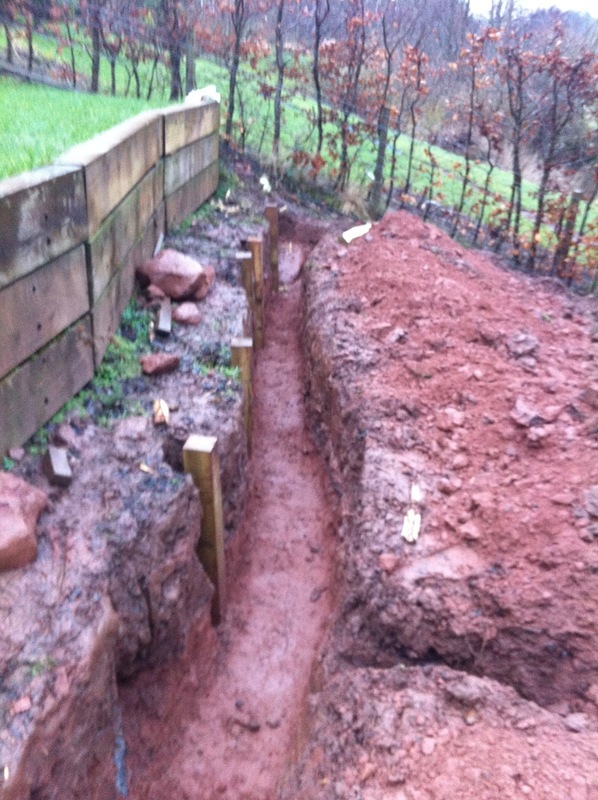 On the left is a trench dug. 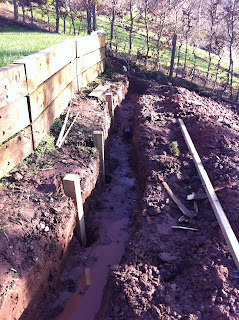 This is the anticipated ground level, with posts and sleepers used to shore up the earth. This might be a bit too high... to be discussed 20th Feb 2012! Closer look at the trench with the posts ready for setting. Looking up from lower in the garden. This shows the height that is being tackled! This the lower side of the tier. If you look closely, the sleepers have already pushed out due to the weight of soil above them. 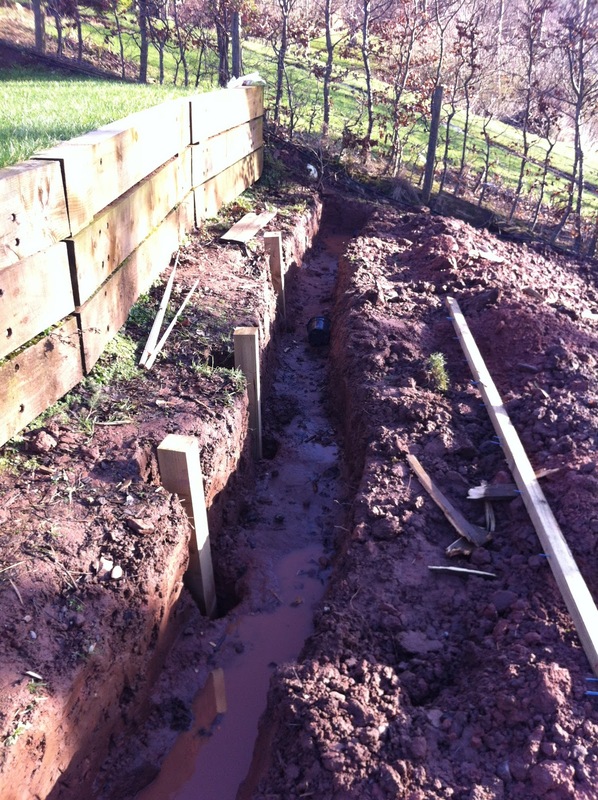 placing more earth, and a 1.5tonne office is probably too much for them... so plans needed to further support this. Just bought one of these Ethernet over Power adapters. Works nicely. In fact, better than nicely. Plugged in the device that sits next to my ADSL router... connected it via the supplied network cable... Then.. find a spare power socket somewhere else in my house. Started my Mac - found the Wireless network... entered the WIFI key.. and away I am! Well - I have found a bank that seems to, sort of.. work. No bank is perfect. That especially applies when attempting to work globally. "Welcome to HSBC where nothing is easy"
So - personal and business bank accounts open - after making a trip in person to the HSBC bank in the US. So - 10am. Sunday... accessing internet banking to perform a global transfer... I discover the first thing that is not easy. So... I dig out the call center information. I decide to dial the US call center as I cannot find my UK call center information. I turns out that the systems are down until 6am New York time on a Sunday. I should try again at 11am UK time... Mmmm... so, the system is always down until 11am Sunday... Wouldn't it have been nice if it had told me before I keyed in all my transaction details... and then wasting my time calling the call center. On the plus side - I am able to see all of my funds in all of my accounts - UK and US at the same time. And, excusing the problems of systems availability above, I am able transfer funds between the US and UK the same day for no fee's (premier). I am dinged for currency exchange charges - but that is the norm. Anyway - HSBC seems to be the best of a poor bunch.. so I am going to keep working with HSBC. 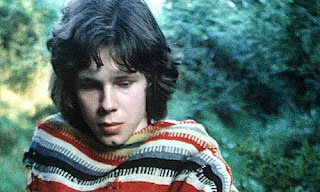 I have been a fan of Nick Drake for about 7 years. Strange, considering the fact that he committed suicide in 1974. This evening, I am listening to a BBC Radio program recorded by Brad Pitt in 2005. Obviously Brad is a big fan, together with other famous folk such as Heath Ledger, Paul Weller, Norah Jones and Kate Bush . I first became hooked on Pink Moon. There is absolutely nobody else like him. He has a strange haunting voice that has deep feelings. For anyone that has any kind of aspirations to play acoustic guitar, then they will find the skills and beauty of his playing difficult to fathom. I cannot think of a better acoustic guitarist. Most guitarists play specific chords in standard sequences, plucking notes etc. Nick Drake seems to play songs that you wonder how they ever developed.. but after 2 or 3 listens, they just work so well. Hope you can enjoy his music as much as I do. I have worked from home for over 15 years. Although, yes, until recently I did travel a lot. One of the disadvantages of working at home is the fact that the boundary between work life, and home life becomes increasingly blurred. In some ways, it becomes less stressful to travel where at least at the end of the working day, I would actually leave the office. To counter this, and to coincide with a restructuring of my business, I made the decision to invest in a garden office. Mine will not be blue, but rustic... but it will be similar in shape and size. 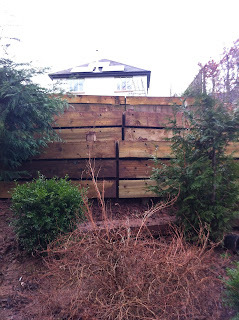 This is scheduled to be installed mid February 2012. I intend keeping a diary /vlog of the installation. Check back for further info!